This marks the second year I have attended the CARRERA Sunglasses Escape and it's become one of my favorite events of the summer! 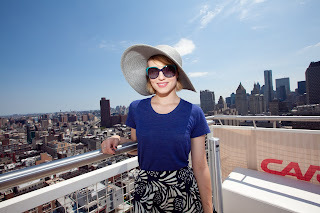 There's just nothing like lounging on a rooftop in NYC, while taking in some sun and enjoying a gorgeous view of the city. 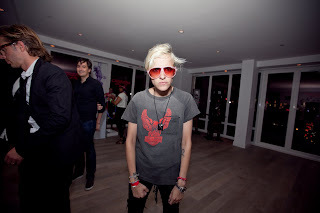 The CARRERA Sunglasses Escape took place on July 9th and 10th, at the newly opened Mondrian Soho hotel. I was heading up to VT for a few days but made sure I stopped by the CARRERA Sunglasses Escape as soon as it opened Saturday morning! Equinox provided a yoga session, as well as chair massages (Thank you Mas for a great massage!). I got a first look at the CARRERA sunglass collection and Venroy Australia's stylish line of men's board shorts. Attendees enjoyed sandwiches and specialty cocktails and beverages such as DonQ Mojitos, Blackbeard Rum & Ginger Ale, UV High Tea (UV Sweet Green Tea and Lemonade) and Asahi Beer. Since it was early in the day when I was there, I opted to add Mango Peach MiO to my water. MiO is a portable liquid enhancer available in six different flavors - Berry Pomegranate, Strawberry Watermelon, Fruit Punch, Mango Peach, Sweet Tea and Peach Tea. I look forward to trying the other flavors! Venroy Australia's line of board shorts - some of the shorts even have a contrast print pocket lining! Definitely fashionable and functional! 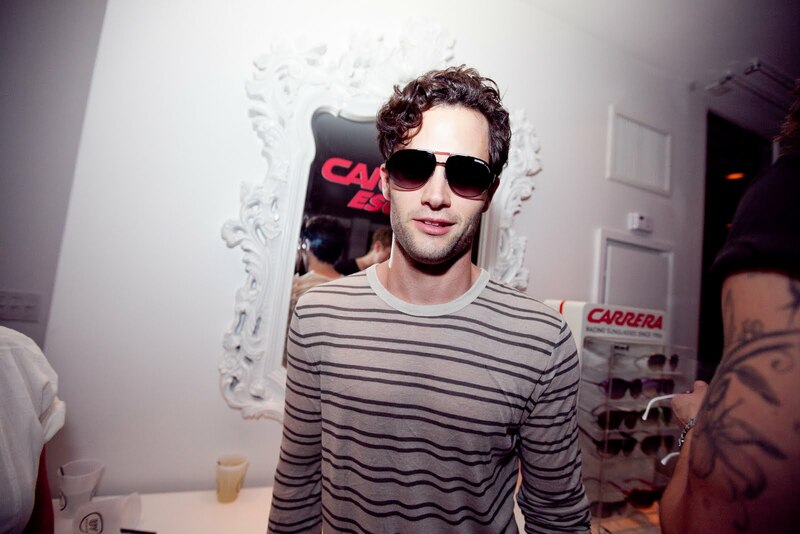 So many great pairs of CARRERA Sunglasses! I had fun trying them on! Mad about MiO! MiO has no artificial flavors, contains zero calories (per 8 oz. serving), and is sugar, caffeine and gluten free! All you do is squeeze 1-2 drops (based on your preference) of MiO into your water and it self-mixes - no stirring or shaking required. Guests were also able to check out the SOUL by Ludacris listening stations or grab a bag of Pop Chips. 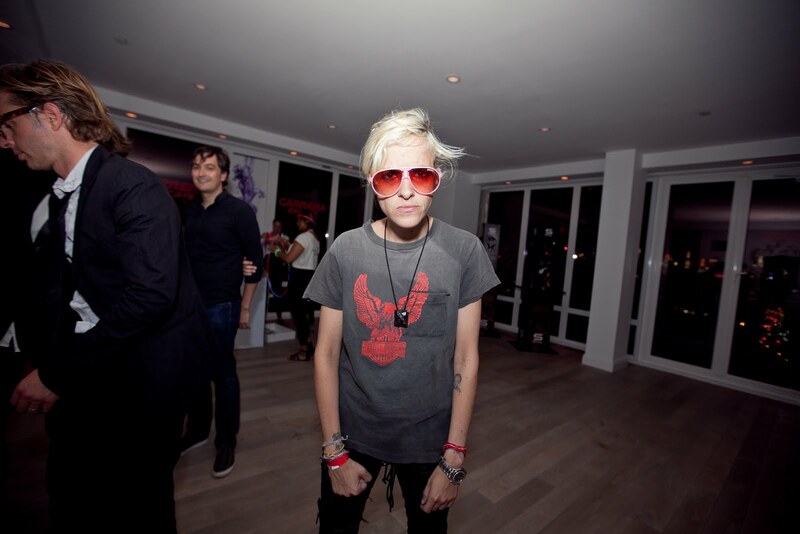 Celebrity guests included Gossip Girl's Penn Badgley, Glee's Dianna Agron and Samantha Ronson. Thank you to the CARRERA Sunglasses Escape team! I had a great time and hope to see you again next summer! Fantastic photos!!! I'm fond of various eyewear so much. Although my favourite brand is Bvlgari glasses, I enjoy Carrera style. They look very comfortable and truly cool!I'd like to try them on. Have You Tried Absolution Skincare Yet? Win Free Concert Tickets from LOFT!